I simply say I am a fiber artist. Most people have a basic understanding of that concept, but quite frankly, I don’t think that fits. I am what I am. Yes, I’m of the generation that grew up watching Popeye, and you know what? He got it right. 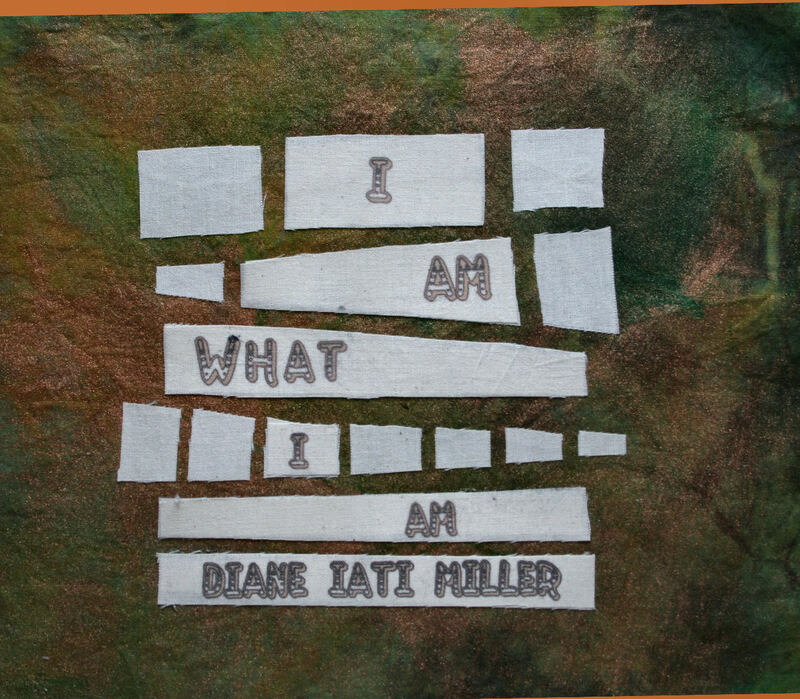 I am what I am, and that’s all that I am. And I’m darn happy living with that philosophy. If I want to knit, tat a motif, make a Kumihimo braid, dye some fabric or yarn, make a beaded button, sew an item of clothing, embroider by hand or machine, crochet, make an art, crazy or traditional quilt, and on and on…. I can do it now, or try to learn how. I can also cook a meal for my Dad, visit with my daughter, pet my cat, plant some flowers, read a book, and last but not least, be very grateful I married the right man for me. Freedom is a blessing. If I sell my art, that’s great. I can afford to purchase more supplies, take a new workshop, buy some more books and magazines. If I don’t sell it, I get the joy of creating it, and enjoy living with it, proudly displayed throughout my environment. So, yes, I would reluctantly say I’m a fiber artist, but I’m really a complex biological construct that is evolving and taking it day by day, having fun along the way. After spending a wonderful morning at the Rochester Area Fiber Artists meeting I was delighted to see the color choice for May’s TIF challenge. While I hardly ever use pastels, my married daughter and my father both love decorating with this color palette. 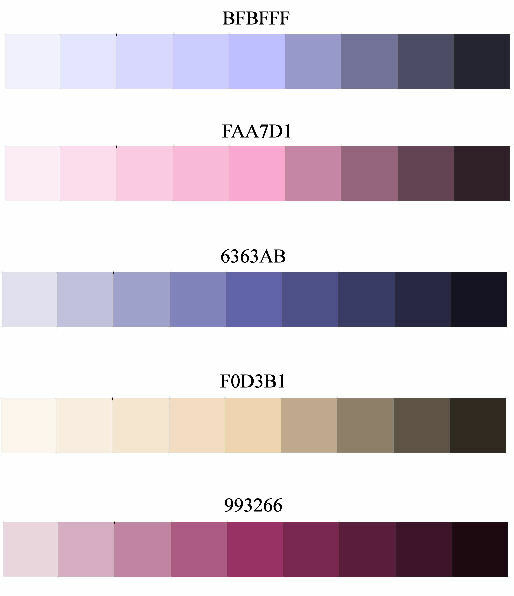 Here is the shading chart from light to dark value of each color and as always, please feel free to copy it and use it as you work on this month’s challenge.